Prepositions (介词) are words that come before nouns and pronouns to expressing time, place, direction, objective, reason, means, dependence, passivity, comparison, etc. In normal situation, prepositional phrases (prepositional + noun phrase) always occur right before the verb and its objects. 2. I bought him a bag. Many prepositions also function as verbs. Chinese uses postpositions in many constructions rather than prepositions (compared to English). There are some differences while using the prepositions in Chinese compared to English. The sentence patterns are not the same for both languages. This is an interesting article about Chinese Parts of Speech. 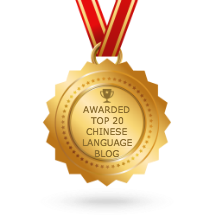 “My whole experience with learning Chinese is that it has a lot to do with just accepting things and learning conventions, rather than the “big picture” of the language, especially in terms of grammar. In my experience it is generally more useful to learn example sentences than dissect the grammatical nature of each character in a sentence. So I will try to give you an overview of Chinese grammar (sentence pattern) instead of going into very details and dissect the grammatical nature of each character in a sentence. Interesting note about Chinese grammar. I’m an Indonesian and while learning Chinese, I found there are a lot similarity between the two languages. For example, in Indonesian, it is also possible to say, “Saya di rumah”, which corresponds directly with “我 在 家”, word per word. In Indonesian, the preposition “di” is still a preposition and doesn’t change into a verb, so the sentence doesn’t actually have any verbs in it. Perhaps this is strange for English speakers, because in English there must be a verb in a complete sentence. But the sentence is common in Indonesian. For the sentence “我 在 家”, you can do a direct translate from Indonesian to Chinese. Chinese is a “Subject + Verb + Object” language, which is similar to English. However, there are some differences between the languages when it comes to prepositional phrases. For native English speakers, you have to take note about the word order when using preposition in a Chinese sentence. Impossible! Chinese is not SVO. Its a SOV. You are right. When I was learning Chinese during my primary school time, I never learn about grammar. Unlike English, I started learning Tenses when I was standard 2 or 3. I am trying to give an overview about the sentence structures, and show the differences between Chinese and English language. But this may make more people who just started learning Chinese confused. I think the best way to learn about Chinese sentence structures is via more reading – through example sentences or articles. If you feel that it’s hard to understand the Chinese grammar, just “browse” through all the grammar sections. I believe you will understand more after you have read a lot. Keep it up and don’t give up! I am always here to help. Once up on a time there was a wise and beloved emperor, who governed his kingdom justly and fairly and who’s subjects lived and worked in peace, harmony and prosperity. The emperor was already getting old, but still he didn’t have any children. This made the emperor very sad. Finally he decided, he would search throughout his whole kingdom to find a child which he could raise as his own son. and train as his successor. The way the emperor did this was very ingenious, he gave al children a flower- seed, and then declared that whom ever would be able to grow the most beautiful flower, he would be his rightful son and successor. The children having gotten this seed, worked painstakingly from dawn to dust cultivating, watering and feeding their flowers, Who of them wouldn’t’ t want to be bestowed witch such luck and good fortune? Then there was a boy, XionRi’s son, who also painstakingly cultivated and watered his flower seed. However 10 days past, halve a month past, a month past, but the flower seed refused to sprout let alone to blossom as a beautiful flower. Worried XionRi’s son went to his mother to ask for advice, his mother suggested to change the soil. But that didn’t help. Mothers hands were tied and she had no other solution to give her son. The day the Emperor would look at his flowers approached. Innumerable beautiful dressed children appeared from all corners of the streets, all carrying and holding out flowerpots with beautiful flourishing flowers. The emperor passed slowly by looking and expecting the flowers. He looked around in amazement to all these beautiful coloured flowers which filled the marked place. Then he saw XionRi’s son at the back of the marked, standing listlessly and sad, a tear flowed from his eyes. The emperor called him to come forward. “Why are you standing at the end of the marked with an empty flowerpot?” he asked. XionRi’s son swallowed and came forward, explaining that no matter how hard he worked the flower seed wouldn’t flourish. He went on to explain that this must be his punishment because one day he had stolen an apple from a flower garden and ate it. ohohohhh!! Your chinese is great!! Maybe there is just a little wrong here,the boy in the story is not xiong ri’s son,his name is xiong ri. Question:Is “mother’s hands are tied” a formal phrase in english which means “束手无策“? Your translation of that story is fantastic. Could it be that the seeds were fake (well, real seeds but not ment to grow) and all the other children cheated except for Xiong Ri…? Thank you 敏敏 for makeing this site! I think the emperor like the beans of XiongRi couldn’t get offspring, both where not furtile. And i agree, however why does it differ in the following sentences? Ni3 Xiang3 zai4 Na2li3 chi? Chinese is very different from English in terms of the sentence structure. This grammar tutorial series is to give you brief idea of Chinese sentence structure. There is no definite rule for the sentence pattern. So it is generally more useful to learn example sentences than dissect the grammatical nature of each character in a sentence. Adverb normally occurs at the beginning of the predicate, before the verb and any prepositional phrase. Both sentences have the same meaning. And are not wrong in terms of sentence structure.